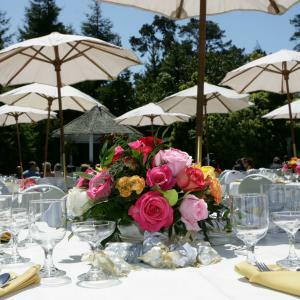 The Gazebo Garden is a world-class location for groups of 50 to 250 guests. 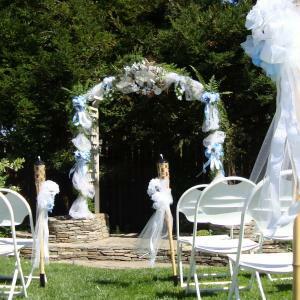 A stepping-stone aisle provides a unique pathway through the carefully tended grass to our charming white Gazebo, while colorful blooms abound in the flowerbeds surrounding the lawn. 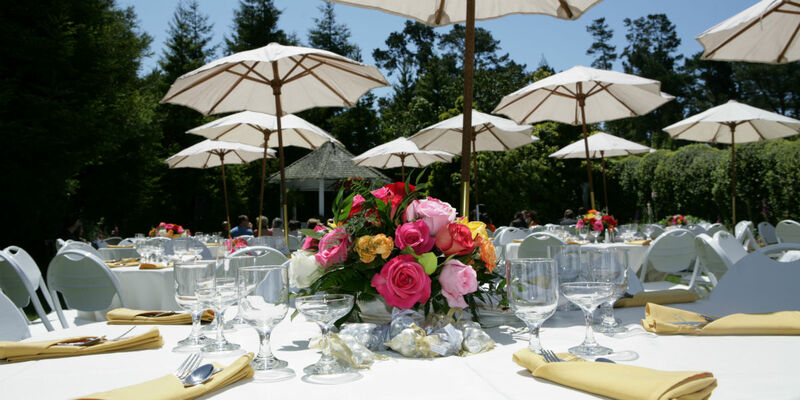 During afternoon events, up to 220 guests sit at tables scattered around the lawn, with market umbrellas providing shade from the midday sun. 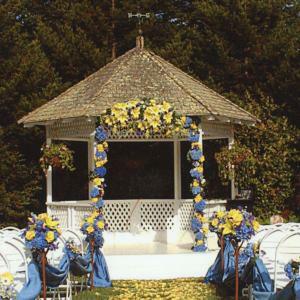 A bandstand shelters musicians or a DJ while your guests dance the afternoon away. 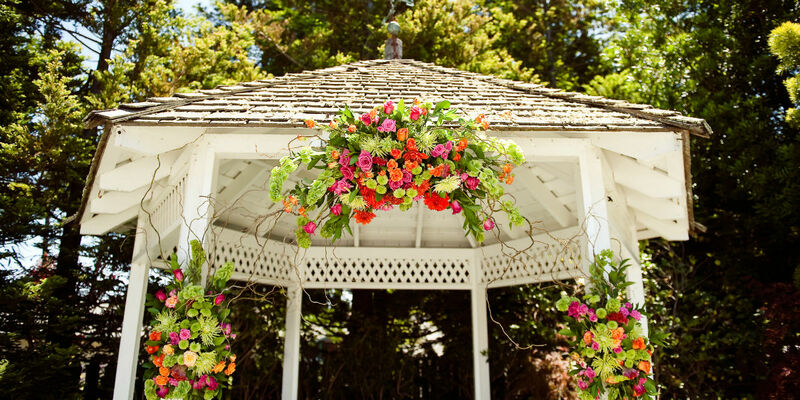 Evening events begin with a stunning ceremony at the Gazebo and continue with a cocktail hour in the garden. 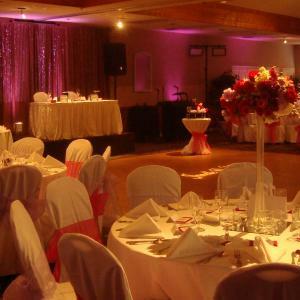 Then it’s off to the Peacock Room, a casually elegant ballroom which can seat up to 250 guests with a dance floor in place. If you choose to provide alcoholic beverages during your Peacock Room event, we can open up the beautiful granite-topped bar to enhance the evening’s ambiance. 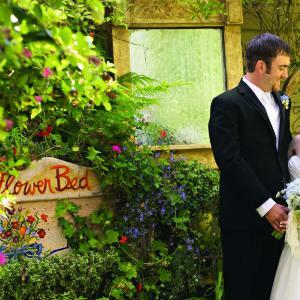 As a more intimate outdoor wedding location, the White Garden provides seating for a maximum of 40 guests. 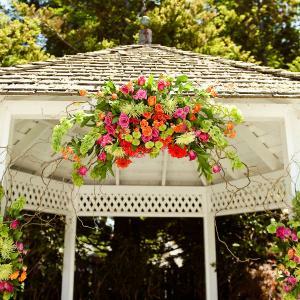 This traditional Victorian garden with white-flowering plants and shrubs features a white wooden arbor atop a rock platform, making a picture-perfect spot for smaller ceremonies. 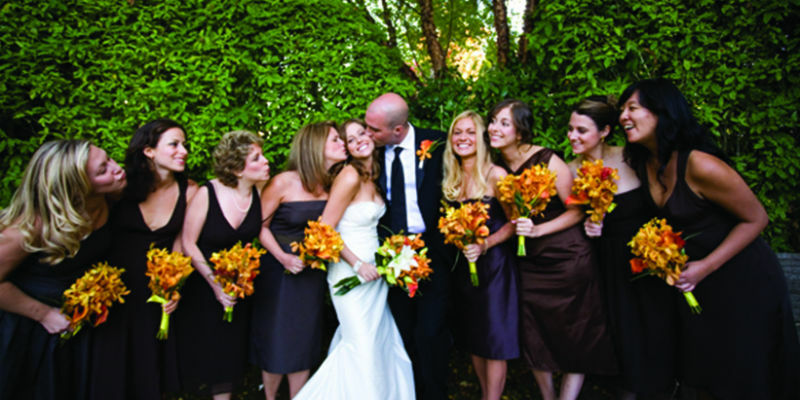 The Green Garden provides a natural progression for an after-ceremony cocktail hour, with plenty of space for mingling and enjoying hors d’oeuvres. Following a Green Garden cocktail hour, guests move to either the downstairs Sycamore Room or the upper-floor Treetop Room. 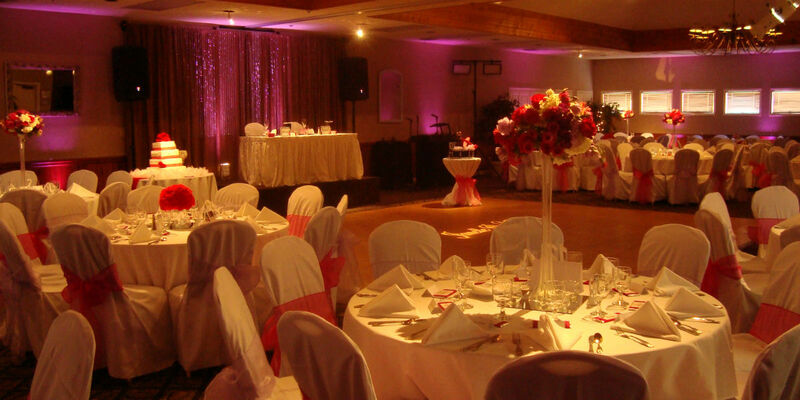 Both are ideal indoor reception locations for groups up to 40. 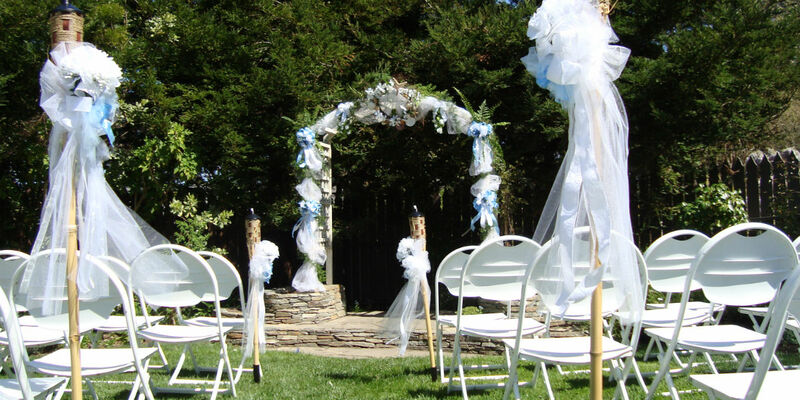 Another popular outdoor wedding ceremony venue is the Amphitheater, which seats 60 in a wooded setting while boasting awesome views of the hills east of Cambria. With 152 rooms and suites, Cambria Pines Lodge offers a variety of accommodations for a room block, giving your guests choices to suit their needs and budgets. We can also arrange for your group rooms to be bookable on our website for your convenience. 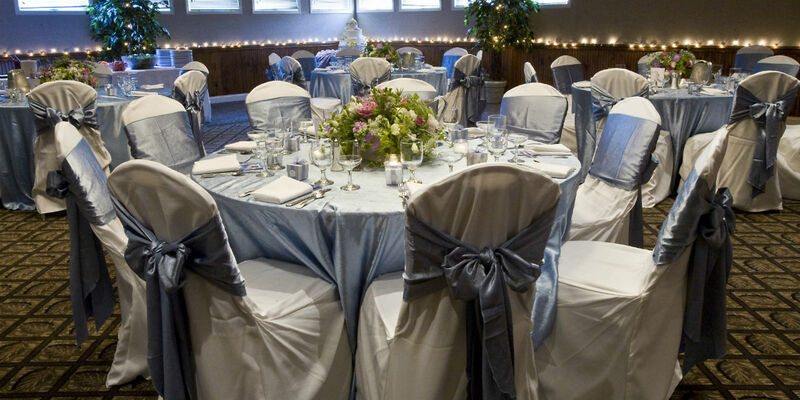 Our helpful sales and catering manager will work with you to put menu and set-up details in place so that you can relax and enjoy your dream wedding along with your guests. 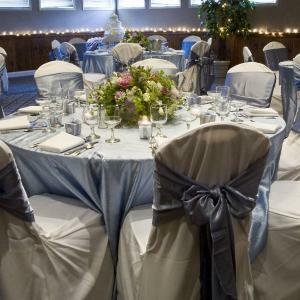 On your wedding day, our experienced banquet staff takes over to assure that your event will become a fond memory for all who gather to celebrate your special day. One more thing: You’ll be amazed at the awesome images your photographer will take in our incredible gardens. Those are the take-home memories you will have with you always. 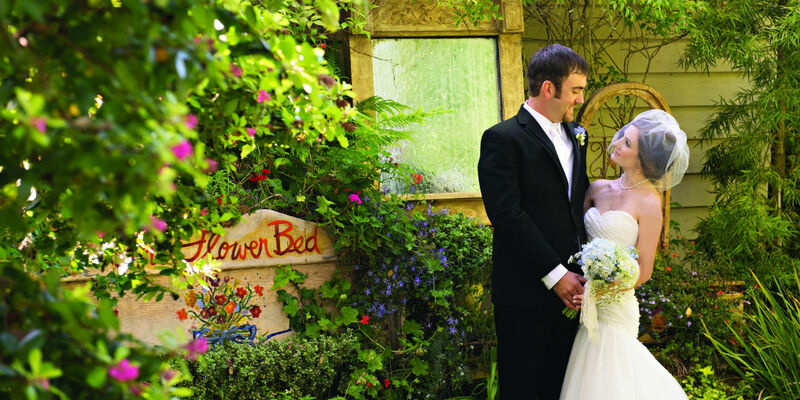 Call 805-924-3353 or email calliw@cambriapineslodge.com to set up a site visit today.